The U.S. made a big move to target Icelandic whaling in a statement on Thursday, saying that Iceland is violating the international moratorium on whaling that has been in place since 1986. Along with Norway, Iceland has been openly defying the ban since it began -- a fact which the U.S. publicly took issue with, and may impose sanctions on the country in protest. 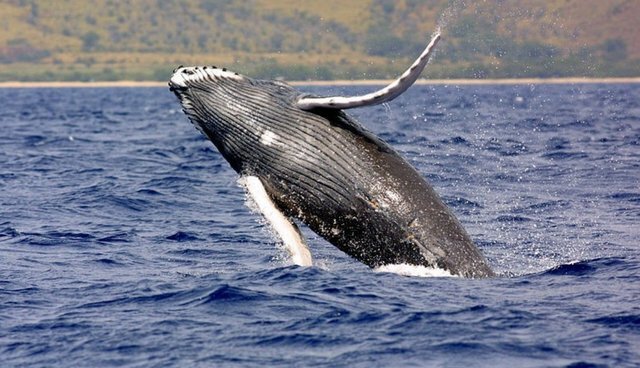 The move is a result of a December 2010 petition sent to the Secretaries of Commerce and Interior by 19 conservation and animal welfare groups, calling for action against Iceland for its whaling practices. According to the Natural Resources Defence Council, Icelandic whalers have killed more than 700 whales, including hundreds of endangered fin whales, since the country allowed whale hunts to resume in 2003. AFP reports that the decision to put sanctions on Iceland now lies with the Obama Administration. The Department of the Interior, in a decision it is required to take under US law, found that the Nordic country's actions violated the Convention on International Trade in Endangered Species of Wild Fauna and Flora. The certification was sent to President Barack Obama, who has 60 days to determine whether to impose economic sanctions on the NATO ally. After a similar decision in 2011, Obama declined to do so but ordered diplomatic measures to raise concern. Another country that favors whaling, Japan, has recently come under intense scrutiny, with conservationists from the group Sea Shepherd following them into the Southern Ocean. Unlike Norway and Iceland, Japan hunts whales on the pretense of "scientific research," though many activists dispute this claim. Now, many organizations are asking President Obama to punish Iceland for ignoring the moratorium. "Killing endangered fin whales is not only brutal, it's short-sighted," said Taryn Kiekow Heimer of the NRDC. "Iceland should not be allowed to ignore the fact that, regardless of some temporary financial reward, this practice is simply unsustainable and cruel."